Locations of detention centers that were identified by multiple witnesses. 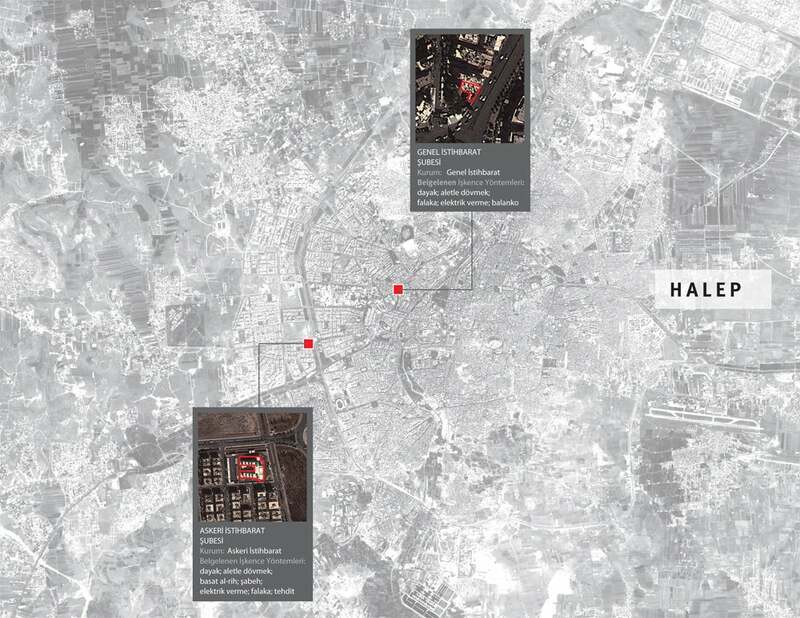 Using satellite imagery, Human Rights Watch asked the victims and defectors to point out the buildings where torture took place. Former detainees and defectors corroborated the findings.